Twenty years ago in my trial advocacy class, we talked a lot about developing a theme for a case. We learned to say things in an opening statement like, "this is a simple case about right and wrong" or "no good deed goes unpunished." The goal of developing and communicating a theme is to give your fact-finder(s) an organizing principle that they can fit the evidence into neatly. However, for as much as we talked about themes, one thing I was not taught much about in law school was storytelling. The two devices, themes and storytelling, are related, but they are not the same. A case theme can be thought of as a case's tag line, somewhat similar to corporate slogans like "when it absolutely, positively has to be there overnight" or "the ultimate driving machine." It's a shorthand version of the case designed to connect with the life experiences of the fact-finder(s). I have seen cases where a story was told, but no theme was used. I have seen cases where a theme was used, but no story was told. The reality is you need both, particularly during opening statements, and appreciating the differences between themes and stories is critical for success at trial. With estimates running as high as 80 percent for the number of jurors who have made up their minds just after opening statements, getting your theme-story combo right is nothing short of essential - for BOTH plaintiff and defendant. Themes are attention getters, stories are attention keepers. You're a clever lawyer, and you can rattle off a great case theme that gets people thinking. However, without a meaningful story to back up your opening line, fact-finders are just going to make up their own story or just tune you out. Themes provide a reason to be interested, stories provide the emotional connection required to care. If a jury does not care about your case, they are likely not going to get on your side and could very well just be daydreaming even while making eye contact. Themes explain, stories motivate. A well-told courtroom story will trigger a biological and an emotional response that leaves your fact-finder open to being persuaded. Themes sound like you are being a lawyer, stories sound like you are being human. It is very important to be likable at trial, and being likable generally means behaving like someone people can really relate to. If you are over-using lawyer-language, you create distance between you and a jury. Themes provide a smidgen of structure, stories provide a decision-making framework. You know that you've told a story well in the courtroom when the jury tells the same story to one another during deliberations. We see this occur during mock trials regularly. See 10 Things Every Mock Jury Ever Has Said. All lawyers know to use themes, many lawyers will fail to use stories. I recommend downloading our free Storytelling for Litigators book and watching our free Storytelling for Persuasion webinar to rapidly improve your storytelling skill set. I've watched good lawyers lose cases when they failed to articulate a good story. Themes are mostly tools for opening and closing statements, stories are incorporated throughout the trial. If you have set up your story well and worked with every member of your trial's cast including fact and expert witnesses, everyone will add clarity to a story throughout the trial. Juries will not usually talk about your themes, juries will talk about your stories and often adopt them as their own. See Your Trial Presentation Must Answer: Why Are You Telling Me That? and 10 Videos to Help Litigators Become Better at Storytelling. Stories have many characters with understandable motives, themes provide little in the way of character development. See Are You Smarter Than a Soap Opera Writer? Themes may offer the what or how, but stories offer the why. See Your Trial Presentation Must Answer: Why Are You Telling Me That? 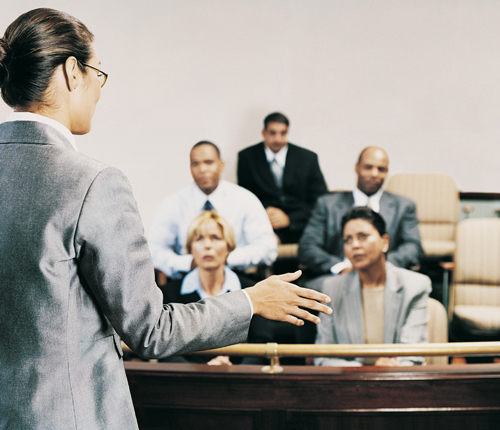 and 20 Great Courtroom Storytelling Articles from Trial Experts. Themes don't need litigation graphics to support them but stories sure do. See Why Trial Graphics are an Essential Persuasion Tool for Litigators. Conflict Check: Interested in hiring A2L? You're not alone.